Refinancing your mortgage with a bad credit score is completely possible, but is a more complicated process than refinancing with a good score. Because your credit score is such a large aspect of any loan application and refinancing process, it is in your best interest to consider all of your options before moving forward. Refinancing your mortgage could be a great opportunity to gain some payment flexibility or even take advantage of a lower interest rate. To avoid leaving money on the table, explore all of your options for refinancing with bad credit. Lenders use your credit score and overall lending history to calculate the risk of lending you money. A lender will view a borrower with a low credit score caused by loan defaults and constant late payments as a high risk. Because the borrower has shown negative borrowing practices in the past the lender will be more reluctant to sign or refinance a loan. Based on 2018 national averages for a $200,000 fixed loan. Putting together a mortgage refinancing package for a borrower with a bad financial history might cause the lender to increase the length of the loan term, increase the total interest rate or even increase the total monthly payments. Unfortunately, when a borrower has a pattern of falling behind on payments, a lender will offer more expensive refinancing packages to make up for the added risk. It is important to note that refinancing your mortgage may not always save you money. You might come out with the same financial deal or a worse option than you currently have, especially if you have a low credit score. In fact, looking at the average outcomes of Freddie Mac mortgages that were refinanced between 1994 and 2018 shows that only a small fraction of refinances actually resulted in the borrower saving money. While refinancing may not be right for everyone, it’s still important to consider the benefits of flexibility and length of terms. If you see yourself falling behind on payments or want to pay off your loan faster, refinancing your mortgage might still offer you some benefits. When approaching your current lender about refinancing your mortgage it is first important to assess where you stand as a borrower. If you make payments on time and are in great financial health the lender will most likely want to continue doing business with you. However, if you have been late on payments and are struggling to cover other financial responsibilities the lender might be more reluctant to refinance your mortgage. Before approaching your current lender for refinancing options, it is important to check for other options. To aid with any negotiations you should first check with other banks to see what interests rates are the best. Coming to your current lender after already shopping around for prices will give you more bargaining power to get a lower rate. If your credit score is low but you have money in the bank a lender may still offer you a competitive rate. Showing proof of income and savings is a good option for new borrowers with short lending historys. For lenders, any proof that a borrower will be able to make payments toward a mortgage or loan will lower the overall lending risk and make a positive impact on the terms of the refinancing agreement. If you have a low credit score and do not have sufficient money in the bank to lower your overall risk, you can use a loan cosigner. A cosigner shows the validity of an agreement and essentially promises to pay any debts that are outstanding if the borrower cannot pay. Depending on your financial situation, it can be difficult to get someone to agree to be your loan cosigner. As such, you should only approach people you’re close with. Even if you do not have a large amount of savings in the bank you can still demonstrate you will make payments on time and carry through with your mortgage agreement by showing proof of income. If you have a well-paying job or have sufficient income coming in, a lender will be more likely to offer a good refinancing option to you. Even without money in the bank or a good credit score, showing proof of income demonstrates that you are financially stable enough to make payments on the loan. Before visiting your lender to inquire about mortgage refinancing options you should first look at your credit report for points of action around how you can build your credit score. If your credit report is full of negative items like late payments, hard inquiries and delinquent accounts there could be some places to make up some extra points. Through a series of disputes, letters and phone calls with the major credit agencies you can work toward getting a higher score. There are also companies that offer credit repair solutions that can get your credit removal cases rolling to help improve your score. Cash-out refinancing is a mortgage refinancing option ideal for people who owe less than their house is worth. It is important to note that a cash-out refinancing option trades your current loan for a cash payment and a larger loan. Lenders can typically refinance a loan for up to 80 percent of the current market value. Equity is earned on a home when its market value price increases over the price in which you paid for it. 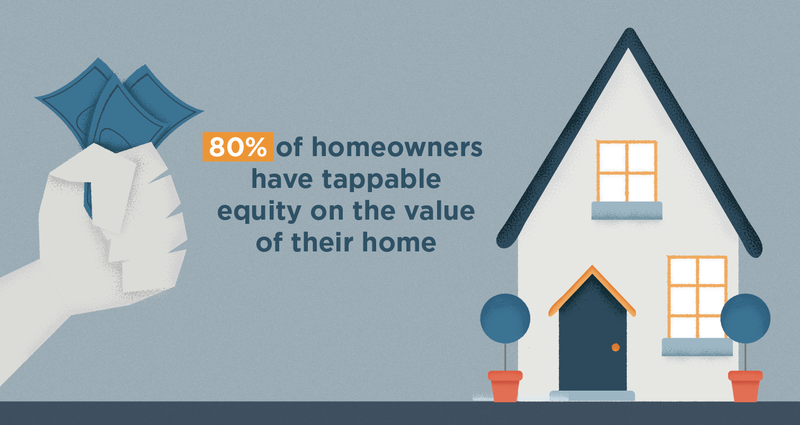 Earned equity is normally cashed out with the sale of a home, but it can also be tapped into with cash-out refinancing. The largest disadvantage to a cash-out refinance is the equity loss of your investment. Although the amount of money between what you currently owe and what your house is valued can be a sizable help for short-term debts, you will still be accountable to pay back the new and larger loan in the long term. The Home Affordable Refinance Program (HARP) is an initiative created by the Federal Housing Finance Agency following the 2008 economic recession, which caused large mortgage defaults in America. With the sudden drop in housing prices, many Americans were overpaying for their mortgages. HARP has helped refinance over 3 million mortgages so far and represents over 20 percent of all refinances. It is important to note that HARP is not the best solution for everyone, and has five main requirements for eligibility. Your loan is currently owned by the mortgage-backed securities companies Freddie Mac or Fannie Mae. Your mortgage/loan was signed before May 31, 2009. Your current loan-to-value ratio is over 80 percent. You are up to date with your mortgage payments and have not missed a payment in the last six months nor missed more than one payment in the past year. The mortgage was either for your current residence, a second home or a four-unit investment property. The Federal Housing Administration has a number of refinancing options built to help homeowners with existing FHA secured loans. Unfortunately, the streamlined refinancing is not available for loans that originated outside of any Federal Housing Administration secured lenders. One benefit of refinancing through the FHA is credit or income checks are not part of the process. If your mortgage is secured with the FHA, there are some prerequisites for the refinancing program. You are current on payments and have not missed or been late on a payment for the past year. You have owned the house for over six months. You use an FHA approved lender or an FHA approved bank when refinancing. If you are still unsure if you qualify the FHA mortgage portal includes a step-by-step guide that can give you an estimate of your best refinancing options available. Across the board, options for refinancing your loan become easier if you first work on raising your credit score. The options available for refinancing a loan for a borrower with bad credit usually still leave money on the table and may not work out to be the best deal for you. To start the process of raising your credit score prior to refinancing, first go through your credit report and find any areas that can be disputed, removed or amended. Credit repair solutions are also an option for those looking for easy removals and gains in your overall credit score. This will help you get the best deal while refinancing a mortgage or loan.